Located on the Kitsap Peninsula about 10 miles northwest of Bremerton at the north tip of Dyes Inlet, which links it to Bremerton via Sinclair Inlet, Silverdale is an unincorporated community of a little over 19,000 and is a popular retail hub, with multiple businesses in and surrounding the Kitsap Mall, including major chains like Target, Costco and Trader Joe’s. Most Silverdale waterfront real estate owners enjoy homes on Dyes Inlet which offers convenient access to a host of water sports, from paddling and kayaking to sailing, boating, yachting, swimming, water- skiing and more. The area is home to an abundance of wildlife that may be seen right from home or as you’re out enjoying the water, including bald eagles, ospreys and herons as well as seals, otters and occasionally orcas who put on quite the performance much to the delight of locals and visitors – living here, you’ll have a front row seat for all the action. Lovely acreage on east side of Clear Creek with access from Kegley Rd via easement, great location and serene setting,, Power and phone are at Kegley, Shown by appointment only. Silverdale waterfront real estate owners will appreciate living in this friendly waterfront community that’s filled with independent shops, art galleries, casual cafes and panoramic waterfront views. 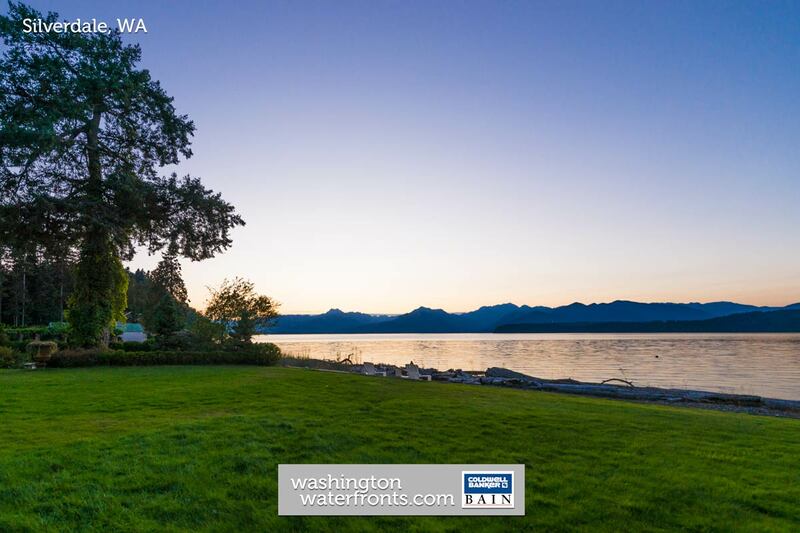 The waterfront park is a popular gathering place and features a public boat ramp, moorage, picnic spots and more. The scenic Clear Creek Trail is a local favorite, winding through the city’s urban area and home heavy salmon runs during the fall. Prospective buyers are likely to be some value priced properties among Silverdale waterfront real estate, which includes some great vacant sites for building your dream home right on Dyes Inlet with hundreds of no bank beachfront and classic farmhouse-style homes on acreage with a tranquil stream running right through your backyard and lavish homes on the water with all the upscale touches you’re looking for and then some. Take advantage of our industry-leading tools to make your property search as easy as possible and be sure to register for a FREE account so that you can receive email alerts whenever new Silverdale waterfront real estate for sale hits the market. If you're seeking to sell your Silverdale waterfront property, contact our Waterfront Specialists directly for a comprehensive listing analysis and to learn more about the cutting-edge marketing strategies we'll use to sell your home quickly for top dollar!